Jordan Gibbons, Senior Reporter, has been testing the quirky EZ GO helmet strap, does he find it useful? 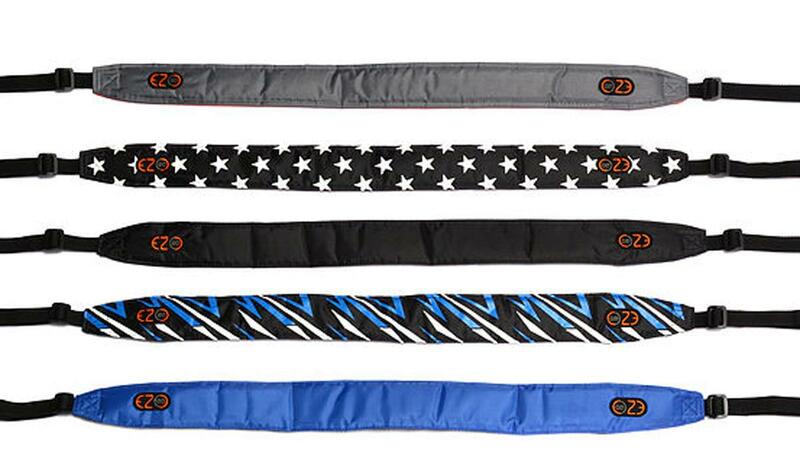 The EZ GO is a strap that clips into your helmet straps, so you can carry your lid over your shoulder when you’re not riding. I must confess, when I first received the EZ GO, I couldn’t help but think why? I’ve spent over 10 years carrying a helmet on the crook of my elbow and apart from bashing people with it in the supermarket, I’ve managed just fine. I forced myself to use it though and for carrying a lid, it does a great job. The strap has plenty of adjustment and it’s well padded, taking the hassle out of carrying your helmet off the bike. It really comes into its own if you need to carry a second helmet on the bike though, perhaps on the way to pick up a passenger. I actually found it most useful for storage, as you can hang a lid off the back of a door hook, or for transport, where I used it to hang my off-road lid in the back of the van. While it does work with all helmet straps, it works best with the ratchet-types.